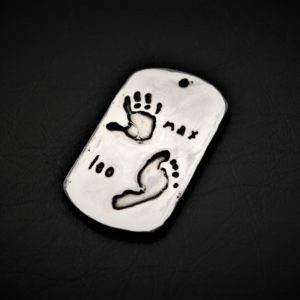 The Engraved Dog Tag Necklace is the perfect gift for him. 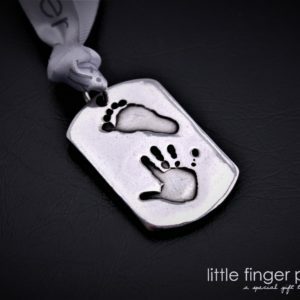 This beautiful pure silver dog tag can be engraved with up to four prints, with their names at the back. Capturing the prints is easy using our no-mess print kit which comes free with every order. We can also use existing prints if you have them, or prints from a previous order.